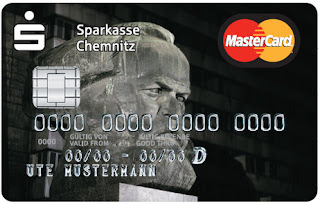 "The German bank Sparkasse Chemnitz recently launched a Karl Marx credit card. 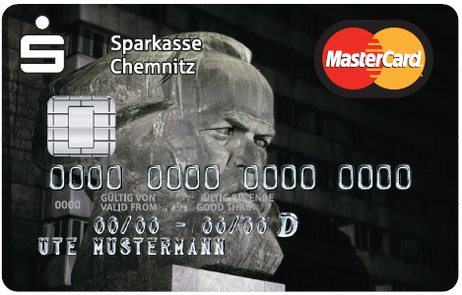 The bank let people vote online for 10 different images, and Marx was the "very clear winner," beating out a palace, a castle and a racetrack, among others. Reuters has more on the story". (The old RCP would have been first in line).